The Times of London, England, 1785-1919. It began as "The Daily Universal Register" in 1785, and became "The Times" on January 1, 1788, reporting on events of global importance in political, social, and commercial arenas. 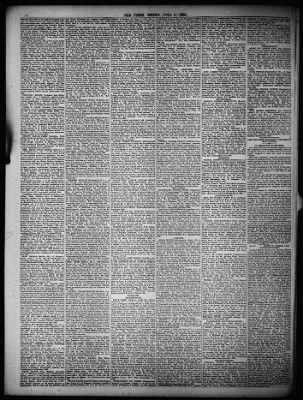 These daily editions (Monday-Saturday) cover news and public opinion of Georgian Britain, including historic events in the new United States, the Napoleonic Wars, and 19th-century trends in banking, democracy, and public life. Later issues offer an overseas perspective of the US Civil War, and domestic coverage of The Great War.